31 Furthermore it has been said, ‘Whoever divorces his wife, let him give her a certificate of divorce.’ 32 But I say to you that whoever divorces his wife for any reason except sexual immorality causes her to commit adultery; and whoever marries a woman who is divorced commits adultery. I have avoided writing this post in our journey through the book of Matthew, for fear of offending people. I have known several individuals that are divorced and some that are in the process of divorcing. My wife and I have been married for nearly 32 years, yet I by no-means consider myself an expert on marriage. I have also found that each marriage is different and each has their ups, and their downs. Where one couple flourishes, another stumbles. What causes another to stumble is no problem for others. When looking back at scripture, it is clear that in the Garden of Eden two great institutions were instituted. One of the first institution was the setting aside by the creator a day of rest each week for those he created to spend quality time with their creator. As important as the day of rest is for mankind, I find it interesting that marriage was actually instituted before the day of rest, and it is only because of sin that Moses allowed the children of Israel to divorce. So if Moses was allowed by God’s direction to grant a divorce, why would Jesus bring this subject up and include it in His sermon to the disciples with all the others listening intently while seated on the grassy mountain side? In an earlier post, we explored that Christ was not only sent to this world as our redeemer but to shed light upon the traditions of man that are not in harmony with the God’s word. Jesus’ teachings were designed by God to sweep away the traditions of man from the teachings of the Law and the Prophets. Jesus was be the light shining upon the darkness to sweep away the cloud of darkness from the minds of mankind. Let’s get into the heart of the teaching. It has been said, “Whoever divorces his wife, let him give her a certificate of divorce.” The term divorce was used before the time of Christ’s birth when Mary was found with child. Joseph her husband being a just man thought about putter her away. This would mean to set free, to release, to divorce. When seeking a divorce the husband would seek a writing of divorcement which today we would call a certificate of divorce. The Greek word used is Aphistemi which means to separate, to put away and strangely enough our English word apostasy come from the same root word. For the nature and purpose of the Law of Moses with regard to divorce, see Deuteronomy 24:1-4. It should be emphasized that Law of Moses did not institute divorce. By direction of God Moses tolerated it and regulated it so as prevent abuses. Now Jesus was pointing to the people back to the original design by God that was found in Genesis 2:24 instead of Deuteronomy 24:1-4. Should the people choose to cling to their traditions then God designated that the only reason a divorce should be granted would in the case of an extra marital affair. During the time Christ was on earth divorce had become so abused that a man could divorce his wife simply because she burnt his evening meal. The marital relationship been so trivialized and perverted by sin that it was Jesus desire to restore to it the purity and beauty originally ordained by the Creator. 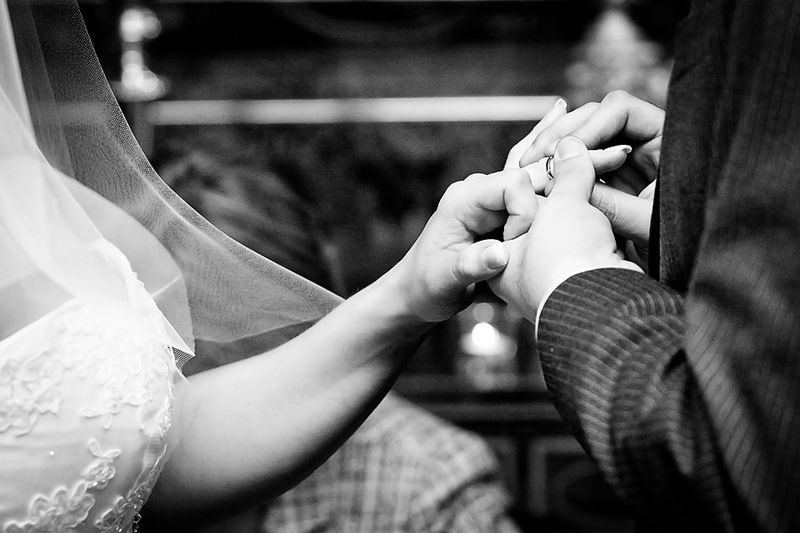 In the providence of God the marriage institution was designed to bless and uplift humanity. The companionship of husband and wife was ordained of God as the ideal environment in which to mature a Christian character. Most of the personality adjustments of married life, and the difficulties encountered by many in making these adjustments, call for the exercise of self-restraint and sometimes self-sacrifice. True “love is patient and kind,” it “does not insist on its own way,” it “bears all things, believes all things, hopes all things, endures all things” (1 Cor. 13:4–7, RSV). When Christians enter into the marriage relationship they should accept the responsibility of applying the principles here stated. Husbands and wives who accordingly apply these principles, and who are willing for the grace of Christ to operate in their lives, will find that there is no difficulty, however serious it may appear to be, that cannot be solved. Where characters are not congenial, the Christian solution is to change natures, not spouses. A wife that was put away would naturally seek to find a new home. But by marrying another she would commit fornication, because her previous marriage was not validly dissolved in God’s sight (Mark 10:11, 12). Christ boldly set aside the rabbinical tradition of His day, especially that of the school of Hillel which permitted divorce for any cause. Jesus emphasized that marriage was divinely ordained and, when properly entered into, was Divinely ratified. What God has joined together no rabbinical tradition or practice should put asunder.